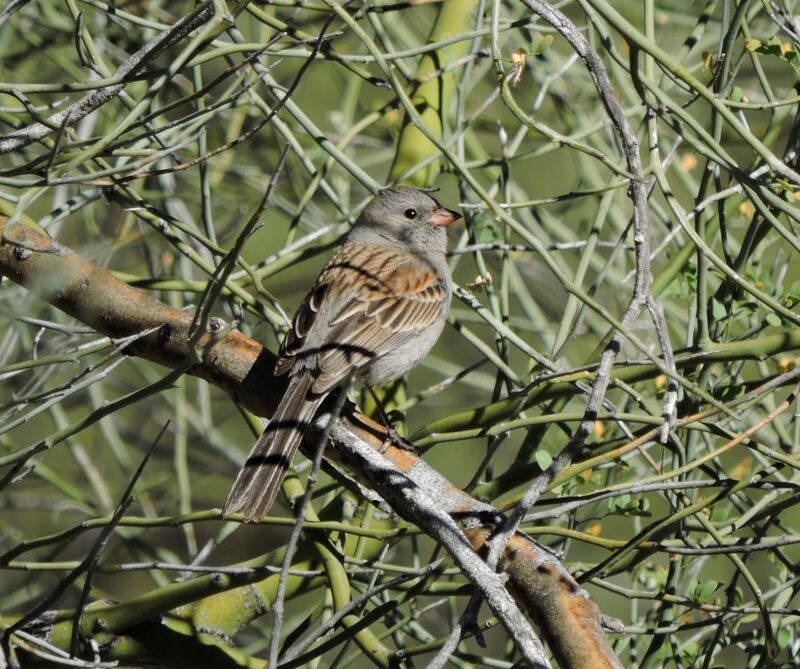 This winter has been great for sparrows in Sabino Canyon. 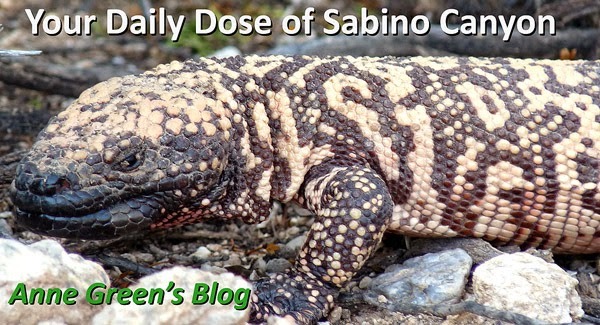 We are regularly seeing mixed flocks of 30 individuals or more. These seed-huskers are enjoying the bountiful grass that came with the big-time rain we received. 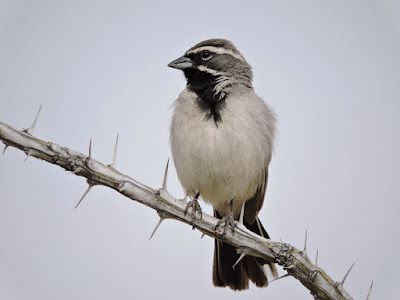 My favorite Sabino sparrow this year is the Black-chinned Sparrow (top photo). The adult male's "chin" - below the beak - will turn black during breeding season (April-Aug.) The Black-chinned's name can be confused with the Black-throated Sparrow, another Sabino favorite (bottom photo). But take a look at the all-gray head of the Black-chinned vs. the white stripes on dark head of the Black-throated. No confusion there. 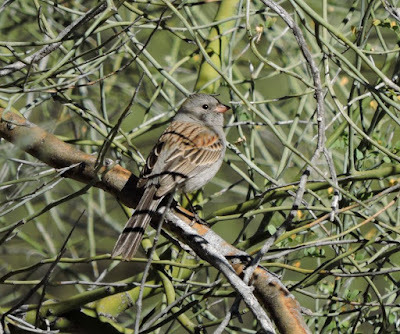 The Black-chinned Sparrow is uncommon in Sabino while the Black-throated Sparrow is a year-round resident.